Your Community Christian School is just around the corner. Are you looking for a school with a caring family atmosphere and devotion to excellence? Where each child is treated as an individual? Where every teacher knows your child’s name? 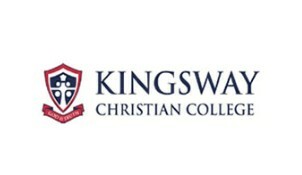 Kingsway is a co-educational non-denominational Christian school for students from Kindergarten through to Year 12. 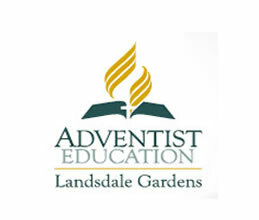 The College offers a variety of programmes for parents looking for a private school offering a Christ-centred day education for their child in the northern suburbs of Perth. We believe that our purpose for existing is to honour, value and support all the children in our care. We have committed to adding value to each child through the provision of programmes that are designed to support, nurture and enrich their lives. Kingsway Christian College strives to open new doors for each child by acknowledging and encouraging personal interests, talents and needs. At Kingsway Christian College we endeavour to offer an educational programme that is innovative, reflecting best practice and catering for a broad academic range. We seek to foster an attitude of responsible stewardship of the gifts and abilities God has bestowed upon each one in our community. We aim to empower students to exercise their talents responsibly by leading a fulfilling life and making an active contribution towards social justice and the common good. Perth Training Centre is a Registered Training Organisation (RTO) specialising in training for WorkSafe High Risk Licenses for the Mining, Oil & Gas, Building and Construction Industries as well as providing Nationally Recognised courses for the Transport, Logistics and Warehousing Industry. Based in East Cannington and Landsdale, Western Australia, Perth Training Centre was established in 1997 and deliver courses for both individuals and companies. Perth Training Centre offer nationally recognised training in three categories of short courses:- *	High Risk Work Licence issued by WorkSafe (WA) which includes Dogging, Rigging, Scaffolding, Mobile Crane Operation, Elevating Work Platform and Forklift *	Mobile plant and equipment which do not require a high risk work licence including Skid Steer Loader, Mini-Excavator, Front End Loader, Backhoe, Integrated Tool Carrier, Telehandler and Overhead Crane *	Safety courses including Working at Heights, Confined Space, Gas Test, Tilt-Up, Restricted Asbestos Licence and Chainsaw Courses can be conducted at our campus or on your site. We can also replace your lost White / Blue card.